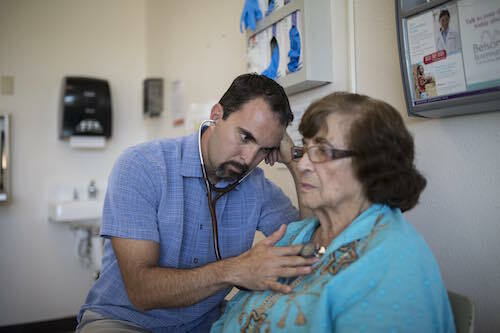 Set against the backdrop of the physician shortage, and opioid epidemic in rural America, The Providers follows three healthcare professionals in northern New Mexico at El Centro, a group of safety-net clinics that offer care to anyone who walks through the doors. 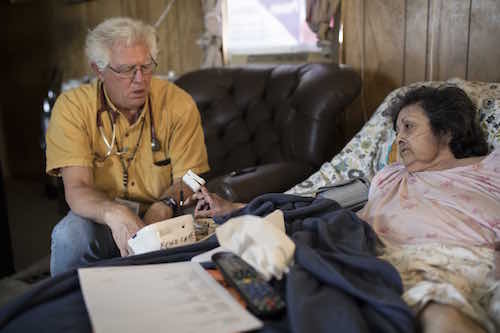 Amidst personal struggles that reflect those of their patients, the journeys of the providers unfold as they work to reach those who would otherwise be left out of the healthcare system. 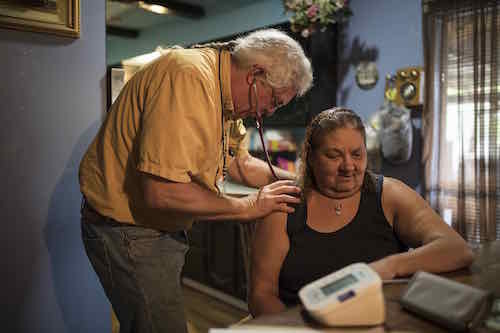 With intimate access, the film shows the transformative power of providers’ relationships with marginalized patients. Directed by Laura Green and Anna Moot-Levin, both the children of doctors, The Providers will premiere on Independent Lens Monday, April 8, 2019, 10:00-11:30 PM on PBS and will also be available simultaneously for online streaming at pbs.org. Visit The Providers page on Independent Lens, which features more information. Laura Green (Director/Producer) is an award-winning documentary director and editor based in San Francisco. She has directed, produced and edited five short documentaries which played at festivals worldwide. Her editing work includes the Gotham-nominated documentary-comedy web series The F Word (2017) about fostering to adopt, and the feature documentary True Son (2014), which premiered at Tribeca Film Festival. She is an assistant professor at San Francisco State University. The Providers is her debut feature film. Anna Moot-Levin (Director/Producer) is an award-winning documentary filmmaker, producer and editor based in Brooklyn. She has directed, produced, shot and edited five short documentaries, including the award-winning film Track by Track (2013), which premiered at Slamdance and is now in distribution with Sproutflix. Her work has been screened at festivals around the world including The American Pavilion at Cannes and the AFI/Discovery Channel Silverdocs Film Festival. She is also an associate producer of the Academy Award-winning documentary Inside Job (2010) and editor of The Making of Gabrieli (2017) now streaming on KQED Arts. The Providers is her debut feature film. Jamie Meltzer (Executive Producer and Creative Advisor) is a documentary filmmaker whose films have been broadcast nationally on PBS and screened at numerous film festivals worldwide. They include Off the Charts: The Song-Poem Story (Independent Lens, 2003), Welcome to Nollywood (PBS broadcast, 2008), La Caminata (2009), Informant (2012) and True Conviction, which premiered at the 2017 Tribeca Film Festival and received a Special Jury Mention and aired on Independent Lens.